This is a true standout piece. 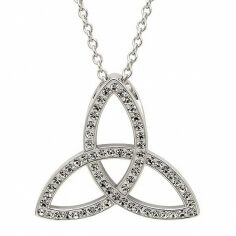 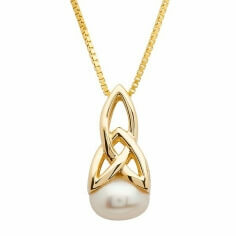 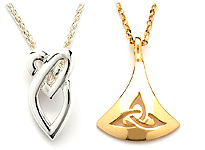 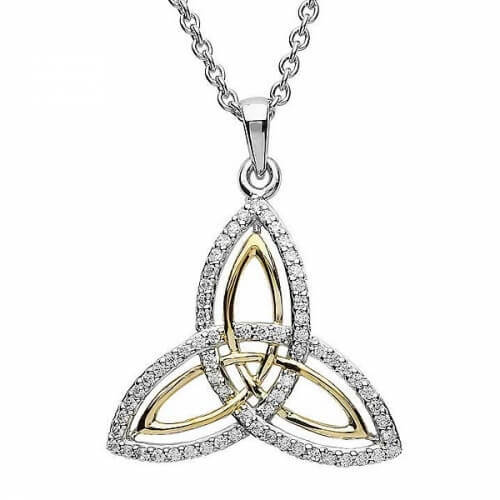 The Trinity knot outer design is encrusted with sparkling cubic zirconia and in contrast the inner Trinity knot is crafted from 10 karat gold, all supported by a silver 18 inch chain. 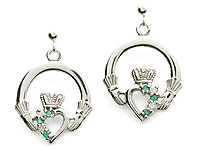 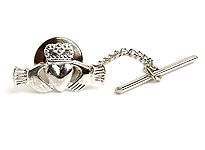 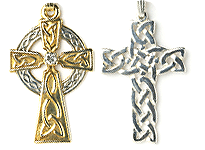 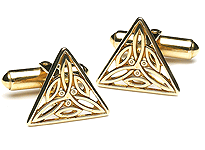 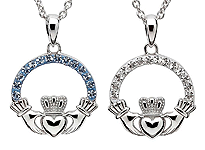 Handcrafted by highly skilled artisans and then tested for quality by the Dublin Assay Office.